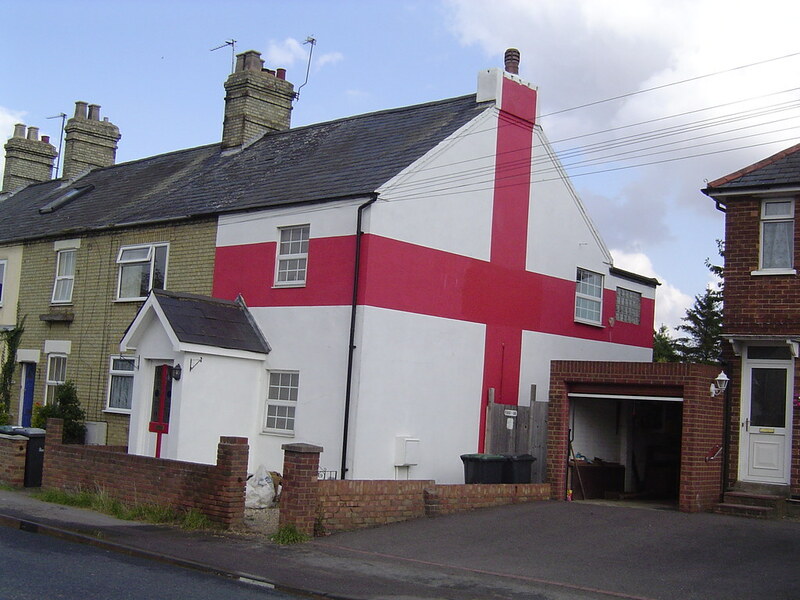 I'm planning a (slightly early) St. George's Day celebration for the weekend after next. Not because I've suddenly come over all patriotic since arriving in Canada, but because I feel I owe our new friends and neighbours a party and it seemed as good an excuse as any. I'm intending to serve an afternoon tea with an English theme (of course) but I'm getting a bit stuck with finding suitably-named savoury items. Plus the obligatory English Cream Tea ingredients of scones with cream and jam. But for savoury things with an English name I can only think of Cornish Pasties and the various English cheeses (oh, and Yorkshire Pudding, naturally - but I don't think that's a tea-time dish!). I know cucumber sandwiches are supposed to be traditional afternoon tea food, but I would be embarrassed to serve up a sandwich containing just cucumber! Are there any other obvious savoury foods with English names that I'm forgetting about? Or maybe it's time to start inventing a few? Photo from Nick Corble on Flickr. Yes, we are thinking and blogging about TEA together. Lancashire Hot Pot, Cumberland Pie , Cumberland or Lincolnshire Sausages, London Particular Soup(ham and pea), Shropshire Summer Soup, Scotch Broth,Anglesey eggs,Wensleydale Tarts, St George's Chicken Parcels. Yummy, afternoon tea for St. George's Day. This sounds wonderful and could become a yearly event for the county. I just might have to take a drive that day! Cucumber and cream cheese sandwiches are perfect tea time companions. You'd be very welcome Crafty - my email address is on my profile page if you want directions!! How about cheese straws and cheese scones.